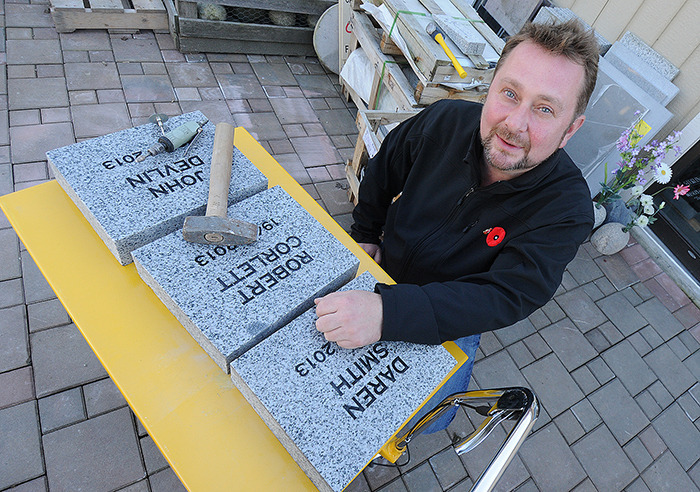 Stonemarks is a reliable, quality producer of grave markers and engraved stone products. We have worked to perfect the art of stone carving and are now growing to provide services and products in many cities. As our participation within the industry has grown over time so has our assurance of quality products and excellent service. For over 450 years the Vukovic Family has been perfecting the art of monument building. Owner and founder of Stonemarks, Ves Vukovic began the company soon after immigrating to Canada in 1995. Stonemarks is a family owned and operated business specializing in the engraving of stone plaques, granite boulders, garden rocks, memorial stones, etc. Stone products include but are not limited to: engraved grave markers, boulder memorials, garden stones, memory stones such as anniversary reminders or birthdays, subdivision signs, house address plaques and subdivision signs. Customer satisfaction is our main drive for the high quality service and production we provide. Based out of South Surrey, British Columbia, Stonemarks has grown to provide service to cities all over the Lower Mainland.